A few anonymous essays brought misfortune to a provincial cadre. On July 9, 2008, Rao Wenwei, the young secretary of the Politics and Law Committee in Wushan County, Chongqing was sequestered in a hotel by local authorities. He was detained a week later, then formally arrested on August 15 under suspicion of “inciting subversion of state power and the overthrow of the socialist system and conspiring to overthrow the authority of the people’s democracy” [zh]. Convicted in November of that year for bribery and inciting subversion, Rao is currently serving a 12-year prison sentence and faces an additional three years without political rights. Rao’s case remained hidden until this summer, when Bo’s removal from office and detention brought to light a multitude of claims of wrongful arrest and conviction in this southwestern metropolis. Bo’s anti-corruption campaign ran on the “presumption of guilt,” Zou Zhiyong, whose father-in-law is currently serving a life sentence, told Reuters. Zou, Rao’s family and many others intend to seek redress for these convictions after the leadership transition at this October’s National People’s Congress. 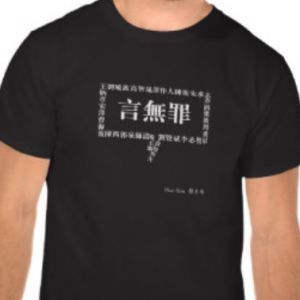 Rao is recognized by the Independent Chinese PEN Center as a writer in prison (he is number 140 on their list). “We will offer assistance to his family in finding a lawyer and will support his appeal,” says Assistant Secretary-General Zhang Yu [zh]. The organization will raise his case at the PEN International Congress, which begins September 9. CDT’s Little Bluegill has translated essays 13 through 15. The entire series is available from CDT Chinese: read essays 1-9, 10-20, 21-31, 32-44, 45-52 and epilogue. 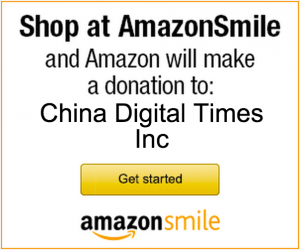 What should the Communist Party give back to the people? The Party furthers its own interests in the name of the nation and demands a permanent, invincible position. Yet this in itself violates the laws of history and the very theories held by the Communist Party’s forefathers! Just how many of the rights and interests of those living in China today have been confiscated by the Party? Just who is the greatest usurper of the state, the greatest bearer of calamity and misfortune to the Chinese people? The most frightening aspect of the Party is the “big stick” it so tightly grasps in its hands—the military. This is the only “talisman” that the Party has, over the past few decades, so willingly unleashed on the people of China. To take back their rights, the people must grab this weapon out of the Party’s hands. In actuality, this “talisman” belongs to the people and to the nation; it should not belong to this faction or that party. The military should only serve the interests of the nation, protecting the country as its own family. It should never aim its guns at its own people! The true portrait of the Communist Party of the last few decades is one of flip-flopping and destruction of order. The system is seemingly devoid of moral standards. The “boss” always calls the shots. There is a system [the law] but it’s never used. The Party’s shamelessness knows no bounds! Number One: Freedom of speech and freedom of religion, without the constitutional regulation which enables the restrictions on freedom of the press, assembly and belief imposed by various government departments. For example, if I wanted to establish a “People’s Free System Party,” would that be possible? Number Two: The right to elect one’s own leaders, instead of leaders being appointed by the Communist Party. Number Three: The military belongs to the nation and to the people. Its duties are simply to remain loyal to and fight for the interests of the nation. The military must never participate in any domestic conflict between political factions or in politics of any kind. It must never aim its guns at its own people. With the exception of disaster relief, the military must never participate in national or local affairs! The military’s deployment should be controlled by an organization of democratically elected officials. Significant military decisions should be made by the nation as a whole. The Communist Party must also remove the language it has so shamelessly written into the “constitution” that demands generation after generation support the leadership of the Communist Party (the so-called Four Cardinal Principles). Restore the purity of the constitution! The constitution is the highest law of the land. The people have no responsibility to uphold the leadership of the “Communist Party.” To take a step back: if you do well at leading the country, then the people will naturally support you. But if you’re no good, the people have the right to cast you out. Why must you be enshrined in the “constitution?” Is it because you believe that if you are squeezed in there, you will be able to exist forever? There are two important “stolen” powers that the Party clenches in its fist: the so-called right to cadre appointment and the so-called right to absolute control of the military. The Party clearly understands that without these two powers, it is finished. Yet it must relinquish them. If the Party is just, then it must relinquish these powers which do not belong to them! If the Party strives for permanence, then it must relinquish these powers which do not belong to them! If the Party truly wants to realize its own goals, then it must relinquish these powers which do not belong to them! But will they? What is the answer? The Communist Party continues with its lies. From its objectives to “letting some people people get rich first,” from the “Three Represents” to harmonious society and the Scientific Development Concept; which of these is based on serving the people? Which of these ideas has served or is capable of serving the people? In which does the Communist Party even believe? Let us take, for example, the ideology of “wholehearted and enthusiastic” [service to the people]. This in itself is biggest lie in the world. Is it possible for one person or one party to wholeheartedly, completely and unselfishly serve the interests of another? If one does not serve his own interests, how can he proceed to serve others? By the deceitful nature of this phrase, we can recognize just how horribly we have been swindled, we can finally understand what it means to say one thing and do another! Take, also, the example of the policy by which only “some people get rich first.” Why should these privileged people be allowed to get rich first? Why should they enjoy more “privilege” than others? Will those who get rich first actively initiate the trickle-down of wealth? If not, how else is this supposed to work? In reality, the disparity in wealth between different people and locales confirms the deceit of this policy. Take, also, the example of the “Three Represents” [Jiang Zemin’s theory that the Party represents China economically, culturally and politically]. If the Communist Party is a political entity, can it then represent economic production? It just doesn’t make sense. But, fine, let us ignore for a moment that it doesn’t make sense. What happens if the Party is unable to represent the country’s economic production? Does it really represent it now? The answer is no. One can see that the “Three Represents” is craven nonsense! The largest disaster caused by the decades of Communist Party rule is the people’s total loss of their natural harmonious way of thinking. Instead, the people now unquestionably pursue their own selfish interests. The terrible truth is that they lack a sense of law and order. They pursue their own interests to the detriment of others; they lie; they lack morals and principles. They place no trust in each other. Instead, greed and jealousy abound. As this vicious cycle continues, human conscience dies out, and as a result, the people will hurt themselves, destroying this ancient civilization! The most destructive part of the decades of Communist Party rule has been the destruction of social institutions. The Party smashed them into oblivion, only to then smash those they put in their place. Those which, against the odds, were left untouched cannot be practiced either openly or in secret. * What prevents society from providing equal opportunity for everyone? Why is the legal system unjust? Why is development uneven? Why is this unfair, that unfair? Why is it that the greatest skill of Communist Party officials is toadying and currying the favor of those in power? Because to live under the system of the Communist Party, you must do this. If you don’t, you will have no opportunity, you will not develop. But if you do, you inevitably will be without a conscience, without humanity, without dignity. Can you keep your integrity as you shamelessly flatter your superiors? As you falsely agree with this and agree with that, can you still retain your conscience? And yet, if you were to not flatter your superiors, would you garner the attention of the Party authorities? If you failed to endorse the Party, if you didn’t agree with the Party, would you still have any chance for advancement? This paradox defines the lives of Chinese people today. And it is a choice that must be made. If you do not make your choice, you will grow old in hardship! I dare say with absolute certainty that many Communist Party members lead split lives, and both of these lives are rife with hardship. They live between farce and reality, switching their conscience on and off at a moment’s notice. Since this life is so painful, what else are you waiting for? Can it be that life truly could not go on without the Party? That the country would fall into chaos? Let me make my choice. I choose to restore our nation to greatness through order and democracy! Communist Party: Give me back my freedom and my democracy! The most rotten institution of the Communist Party is the cadre system. In actuality, it’s a classic centralized system of concentrated money and power. It is the most rotten because the entirety of corruption and evil in China since the beginning of Communist Party rule all stems from the “cadre” system. The Communist Party relies most on the institution of “propaganda.” In actuality, this institution does nothing but work to fool the public, numb the masses and keep freedom under lock and key. This propaganda is the very reason why the people are so ignorant, apathetic and immoral. The Party deprives the people of their rights by propagating this culture of reliance. The Communist Party’s most detestable institution is “Party leaders’ absolute control of the military.” In truth, this institution usurps the people’s rights through intimidation and repression. One uses the word “detestable” because it is the Party that controls which way the guns point. It does not matter whether you are a good person or an enemy of the state. Who would dare disobey “his” Party? Establishing a “harmonious society” is of course a positive goal for governing the country. But if you wish to grow “harmony” on top of the “current system,” then you are wishing for the impossible. The flower of “harmony” cannot bloom on the tree of the Party’s evils! I assert: Without changing the current system, China will never know harmony! The “management of cadres” is one of the fundamental principles of the Party. Former Organizational Department Head Zhang Quanjing has said, “If the Party did not manage its cadres, it would give up its right to lead.” The essence of this statement is that the Communist Party depends on its control over cadres to exercise its right to lead—and this is precisely where the evil lies. “Cadres” are actually “officials.” I never understood why the Party insists on calling them “cadres.” However, after much thought, I realized that this is just another deceitful invention of the Communist Party. In all, cadres probably number in the hundreds of thousands. But no matter how you look at it, the number of “official positions” shrinks as one moves up in the system. At the same time, the Party must rely on “offering posts” to maintain its right to lead and to realize its position of power. In that case, the party secretary and the Standing Committee represent the very top, and from there it goes down through the secretaries of each level of government. This system is unable to solve a fundamental problem: many want to move up, but only a few can. Because of this, those who wish to move up all work in their own self-interest, and those in higher positions all work to protect their seats. The authority to decide who moves up or down always remains one level higher than the last, straight up to the Central Politburo. Top officials will surely never relinquish their authority over the management of cadres, so a cadre then has no choice but to scheme his way up the ladder, making an utter mess in the process! This system, in which all decisions are top-down, is necessarily profuse with evil. At the highest levels, the Party plays some “democratic” charades, but everyone knows that decisions over who is above whom will forever remain firmly in the grasp of the very few. As a result, the numbers of officials and special interest groups continue to grow. Their selfish in-fighting intensifies. The evilest part of this system is that it takes a person’s humanity and turns it into boundless evil. There’s no need for me to list them one by one. Just tune in to any Party-sanctioned media outlet and ask yourself: which of these evil phenomena are not caused by the “cadre system”?! * Rao refers to three epochs in China’s recent history. In the early communist period, intellectuals were rooted out and persecuted in the Anti-Rightist Campaign; the Great Leap Forward, intended to industrialize the country and institute collectivism, caused millions of people to starve to death. The country had a short reprieve from upheaval before the Cultural Revolution tore families apart and nearly destroyed tradition. Despite the openness of post-Mao China, many social institutions are still tightly controlled, from family size to religious belief. Back to essay.